Managed to make a good transition from model to actor, Channing Tatum surely has created an attainment that only few of his ilk could accomplish to firmly position himself among the group of Hollywood's rising stars of the 21st century. 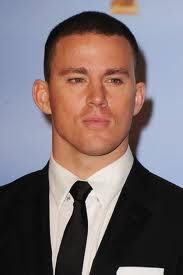 The oldest of eight children born Channing Matthew Tatum on April 26, 1980 in Cullman, Alabama to a wealthy family, he passed his early childhood going between the town and Mississippi to spend the summers with his grandparents before finally settled there at the age of six. Growing up as an athletic yet somewhat problematic kid, the ninth-grade boy then was sent by his parents to a military boarding school where he became actively involved in football and even earned an athletic scholarship to flourish his sports skill in West Virginia's Glenville State College. Disliked the routine he had to carry out in order to maintain the scholarship, Channing boldly put a decision to leave all he had achieved behind and began a new phase in his life. Turning his attention to dancing, he surprisingly passed the audition looking for some dancers to support Ricky Martin's music video of "She Bangs" which led him to earn job as a choreographer in Miami with the help of an on-the-set acquaintance. It was in this second largest city of Florida that he met a female model friend who afterwards introduced him to some modeling agencies, including the prominent Page Parkes Corporation. Signed by this company, he originally had little confidence to establish a fine career in this field, but gradually was able to develop it through a series of editorial shoots for magazines. Later joined Major Models in New York City, Channing continued his path in modeling successfully, appearing in various magazines, fashion shows, also commercials, most notably that of Mountain Dew's "Drive" which wonderfully brought him to receive more attention from public. With this growing reputation, he boldly crossed to acting and made his way to land his first performance in an episode of "CSI: Miami" (2002) by 2004 before moved to the big screen production to film "Coach Carter" (2005) opposite Samuel L. Jackson. Much to his delight, the sports flick amazingly scored high in the box-office with the domestic gross of over $67 million, consequently propelling the green-eyed guy to wider recognition across the country. This great achievement undeniably brought him to secure more starring parts onscreen, like in "Havoc" (2005) followed by "A Guide to Recognizing Your Saints", "She's the Man", and "Step Up" which all came up in 2006. It was through the latter title that Channing satisfyingly scored another commercial success on the box-office as the dance-themed romance instantly pulled $21 million in its opening weekend to rack up a total tally of over $114 million worldwide despite mixed reviews. Not only that, he was also able to discover love in his co-star Jenna Dewan during the filming process of the movie and finally proclaimed themselves as a new Hollywood couple not long after. Completing his joy, offers of more mature roles began to flow quite heavily for him, so it was not very surprising to later find him appear in "Stop-Loss" and "Battle in Seattle" by 2007 then "Dear John", "Parkour", and "Poor Things" by 2009.